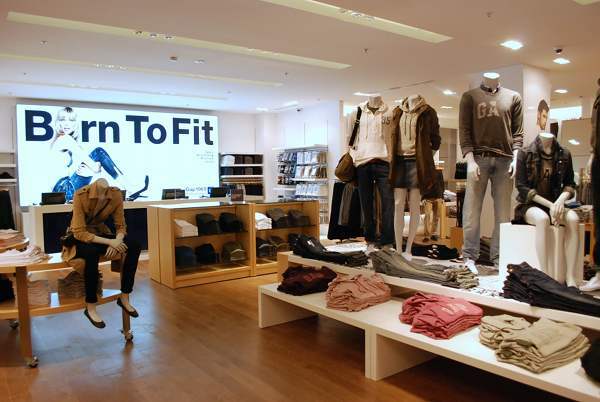 Our exclusive pre-opening peek at GAP Sydney! It’s funny how it’s no problem to zip straight out of bed before 6am when you have something so ridiculously exciting planned such as the Gap Sydney store opening! Bright eyed and bushy tailed, I set off into the city with my trusty Nikon to see for myself what one of the biggest apparel brands in the world had served up for my home city. Gap Australia gave Babyology exclusive run of the house in the final hours before opening the doors, bringing the Gap brand to Sydney with the kind of style a glossy city expects. I’m still pinching myself that I was the one and only media person in the whole place! Me? Yes me! I was welcomed via the stunning signature blue entrance by a delightfully friendly team of people, all busily putting the final touches on the presentation of the store. We think you’ll agree they’ve done a marvellous job and we just know Gap will be as huge in Australia as it is internationally. So now for the big tour – come with me on this trail of delights! Here is the incredible entrance – that beautiful door rotates! The collection featured in store is completely new to Australia – Melbourne hosted a different collection (see our editorial from the August opening). Put the it in fit is the motto and this is the exact autumn collection you will see in the US right now. 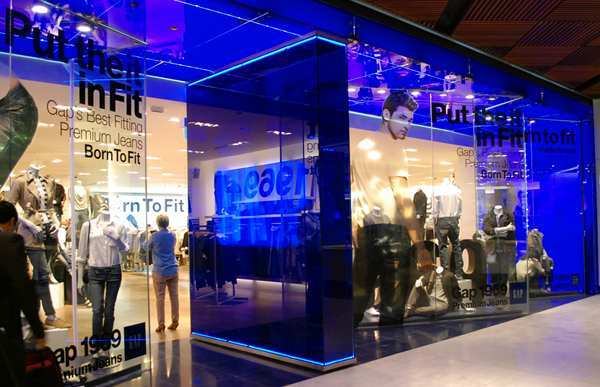 The three large windows reflect the three sections of the Gap store – women’s, men’s and babies and children. Glance to the right after you enter and there is the kids’ section. 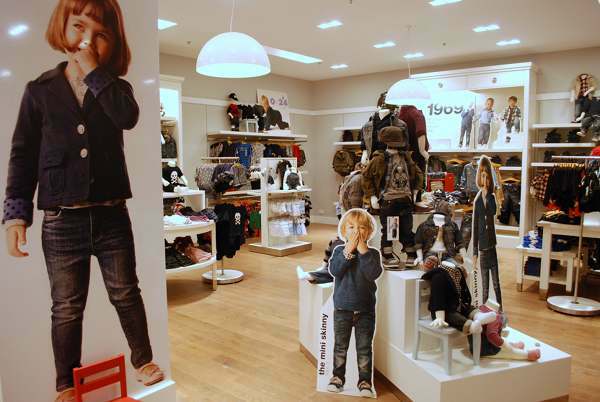 Bay after bay of gorgeous looks starting with Gap Kids denim in a range of fab cuts to suit every boy and girl. 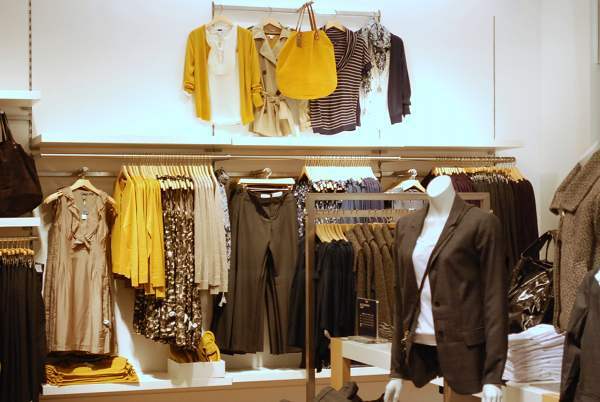 As you would expect from Gap, the displays are user-friendly and everything you need for a complete outfit is right there in front of you. 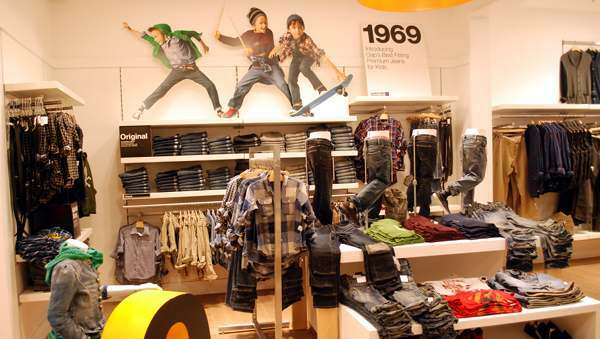 To celebrate its inception date just over forty years ago, the theme of 1969 was absolutely everywhere – above are the older boy and girl premium denim ranges. 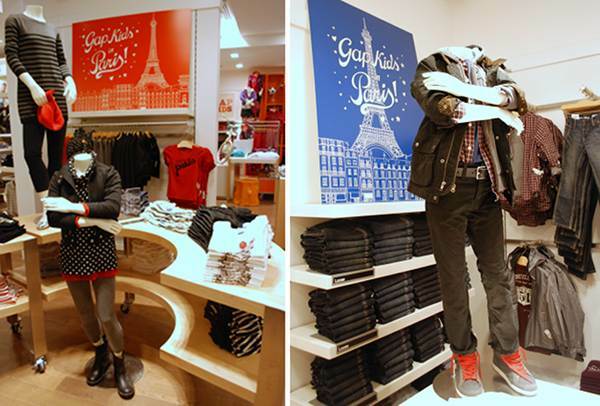 Walking further on, my very favourite collection other than Baby Gap was the stunning Gap Kids Paris range. Girls decked out in black and white polka dots and stripes with splashes of red, then boys in smart black denim, checked shirts and cargo jackets. This collection was made for me! Down by the back wall was this riot of colour courtesy of the casual sporty section. The funky retro bikes and multi-layer presentation made it one of the most attractive corners of the store! Now we’re going to turn left and go to Baby Gap! See those mini skinny jeans? I fell head over heels for those and bought a pair for my three-year-old. Irresistible! This area houses all clothing for babies and toddlers up to four years. I want one of those skull and crossbone navy knit onesies! 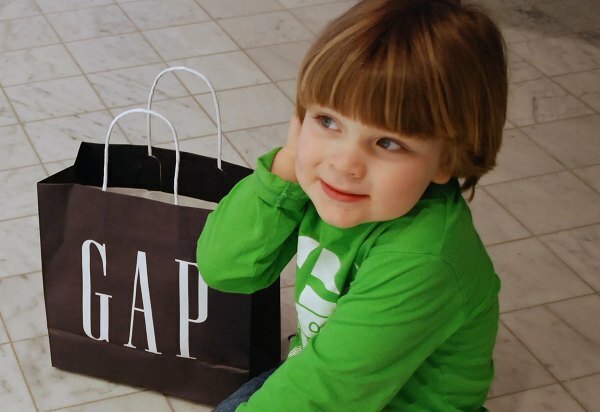 That display wagon was so cool – Gap sure knows how to appeal to the kids. So we’ve showed you what we came for, but wouldn’t you be just a little bit miffed if we didn’t show you the rest of this stunning one-level store? 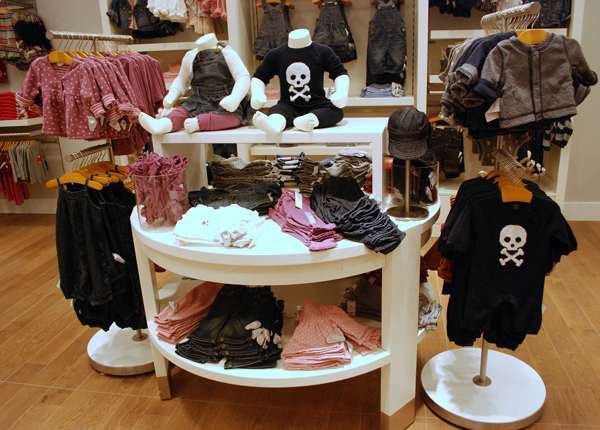 While we love shopping for our kids, we suggest factoring yourselves into the Gap style equation. 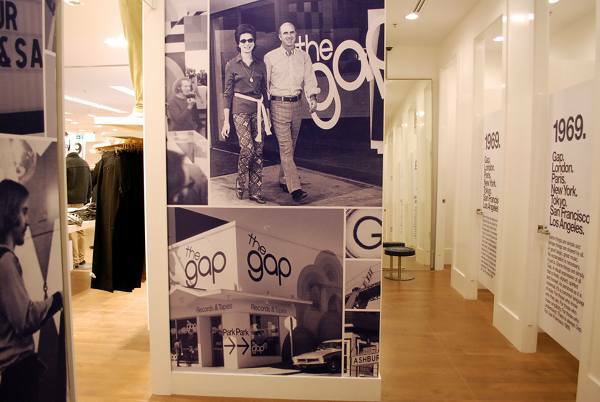 I loved the retro-styled change rooms featuring that famous photo of the first ever Gap store in San Francisco. There is also an image of Donald and Doris Fisher, the founders of Gap. Donald passed away only one short year ago and I can’t help but think how proud he’d be seeing the Sydney store spring to life. His wife and two of their three sons still oversee operations. This is the view to the front counter, showing parts of the men’s and women’s collections. 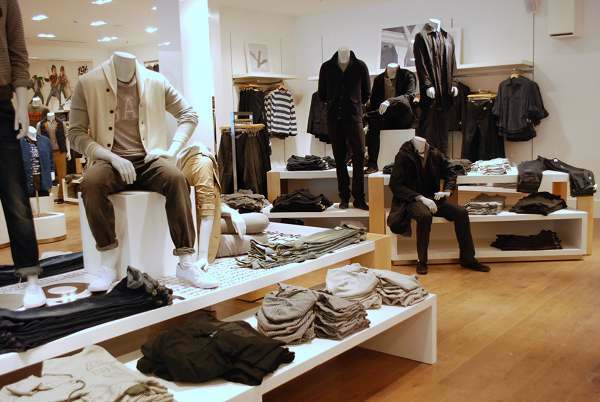 Below are sections of the men’s and women’s collections. 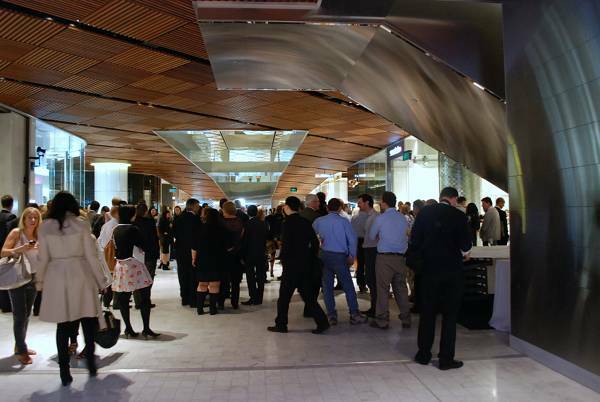 Lastly we thought we’d show you how the brand new Westfield Sydney is looking. 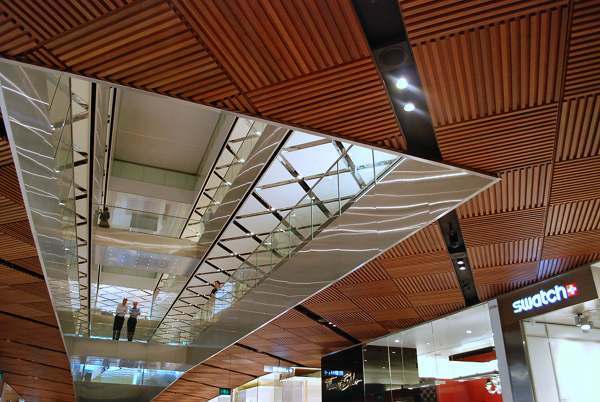 When you stroll happily out of Gap with your purchases, these beautiful ceilings immediately catch the eye. This was before a single person had stepped inside the store – that included the media there that morning and the customers eagerly awaiting the official opening! It was such a privilege to be the lone reporter. 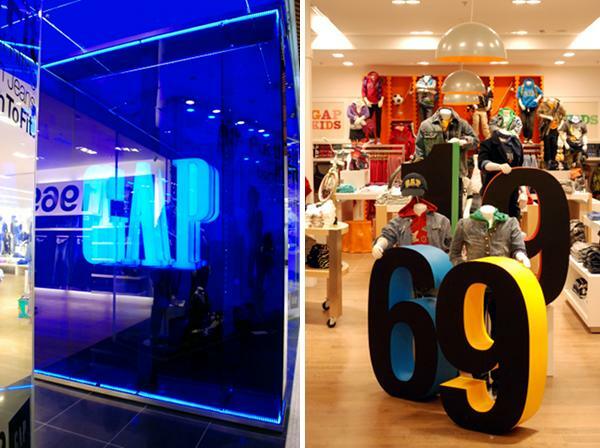 We hope you’ve enjoyed our coverage of the opening of Gap Sydney as much as we’ve loved bringing it to your screens! 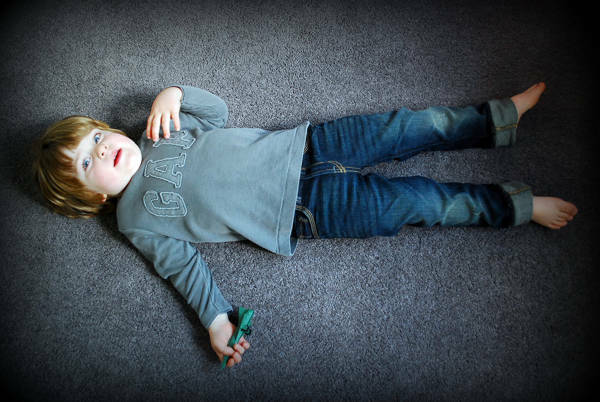 Here’s a last little treat for you… my littlest guy with his Gap goodies – we got him the mini skinny jeans and a fab soft grey top which you can see him wearing in the second picture. 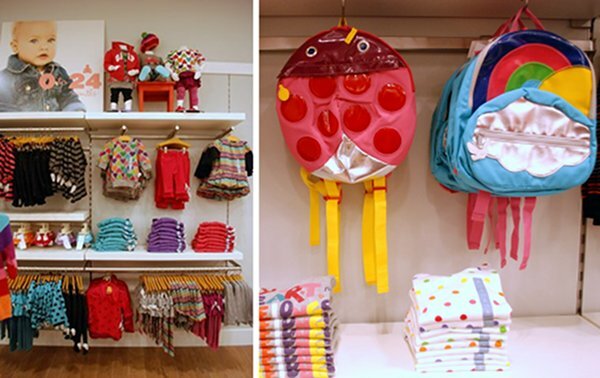 A huge welcome to Gap from Babyology and all our loyal followers!